ONLY 14 MORE DAYS TILL THE "FREE" INDOOR RACING SCHOOL EVENT! Entry Deadline: Must be RECEIVED by 10 AM Wednesday, March 21, 2018. 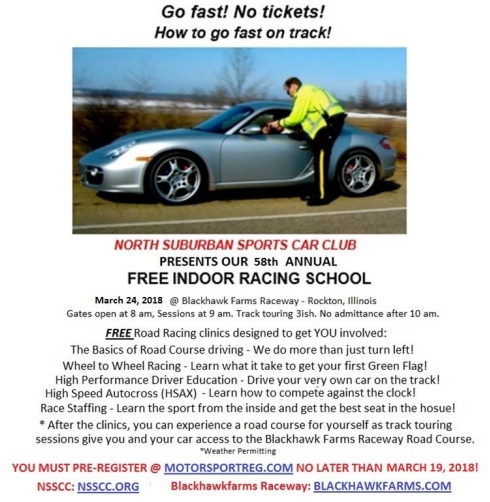 North Suburban Sports Car Club proudly presents the 58th Annual "Free" Indoor Racing School at Blackhawk Farms Raceway. Please download the full entry form below for full details and schedule.